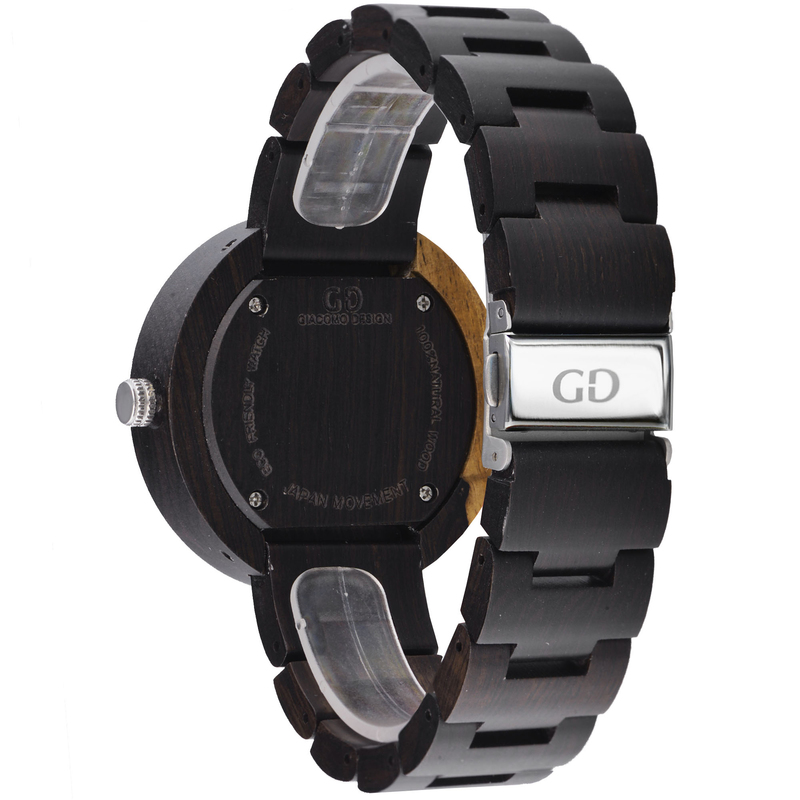 Calendario estesso GD08103 is a model with an extensive date. 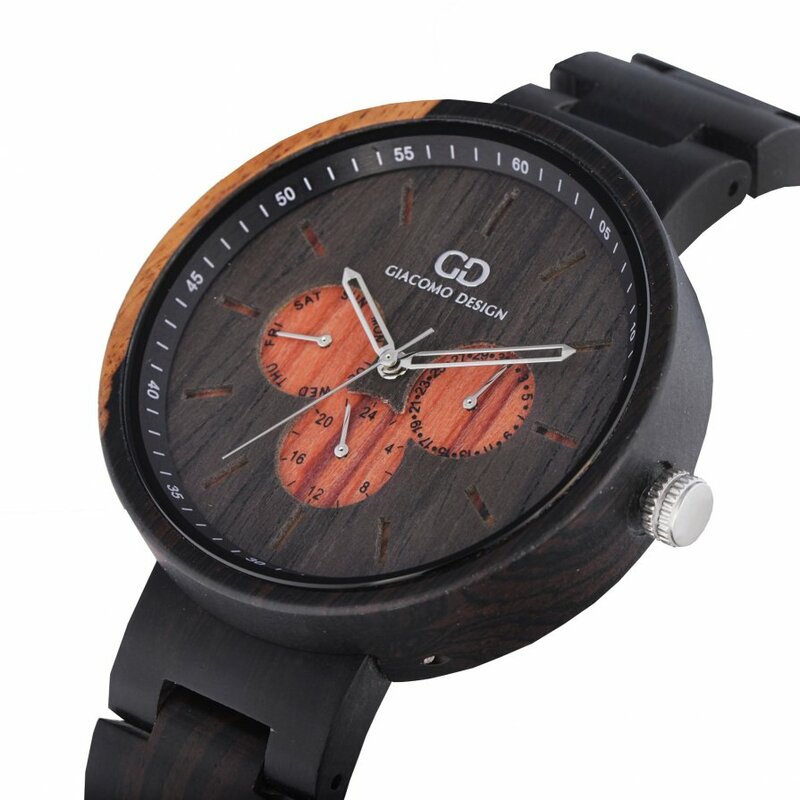 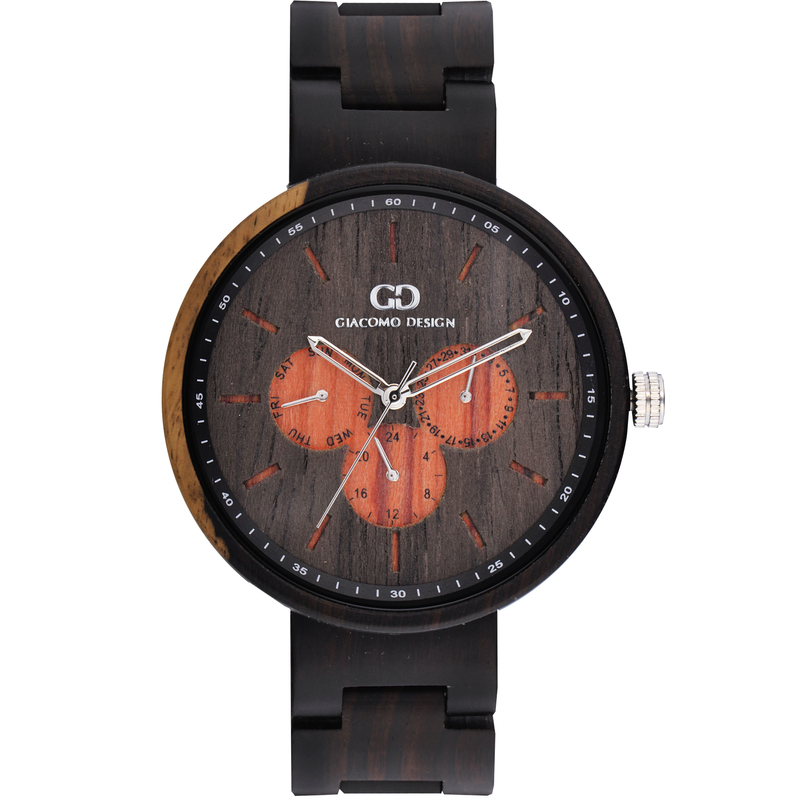 The combination of two types of wood, ie black and red sandalwood, makes the watch look modern and stylish. 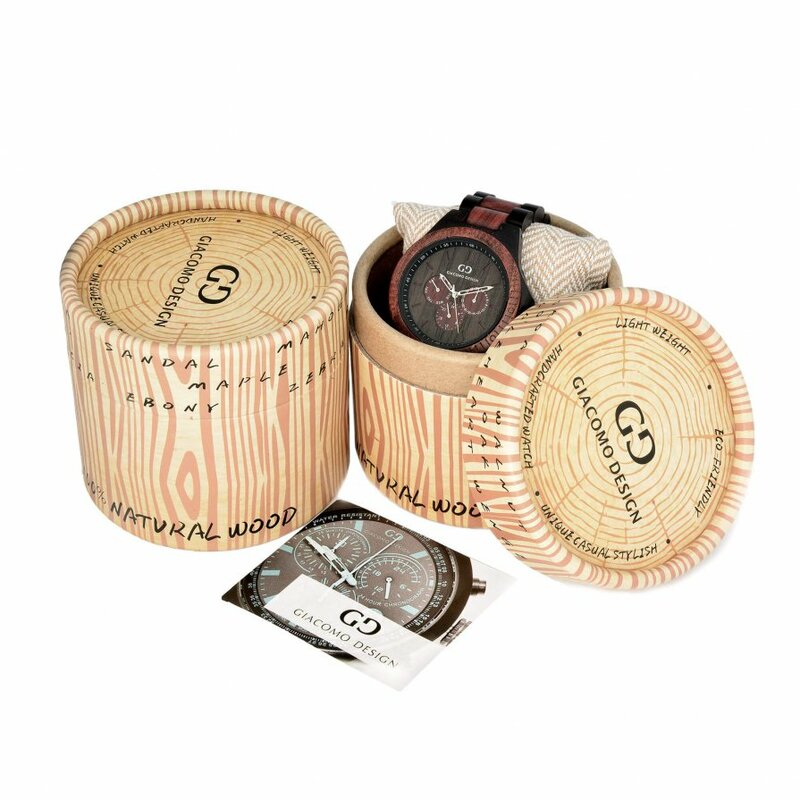 An addition is original tips with an interesting shape.